The Original Pizza is now kosher on Ave U. 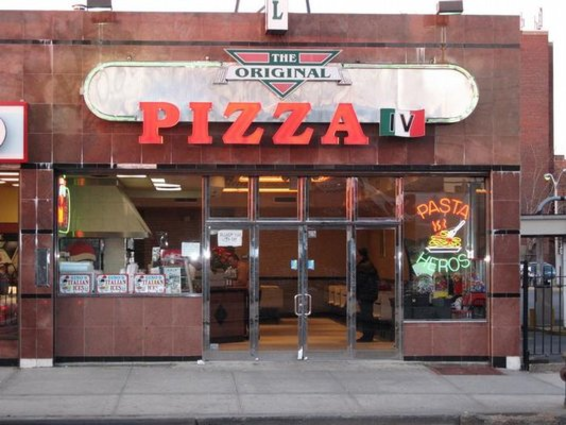 The Original Pizza IV in Sheepshead Bay, Brooklyn, has been a popular local non-kosher pizzeria in operation for 53 years until last week when its owners decided to convert it into a kosher restaurant. The menu for the newly kosher pizzeria includes a variety of pizzas that retain their non-kosher recipes sans the non-kosher ingredients, including the “Original Supreme Pizza” which includes Homemade mozzarella, Romano cheese, fresh basil and San Marzano tomatoes. Other specialty pizzas include pesto pizza, mushroom truffle pizza, penne a la vodka pizza, grandma slices, and more. Other menu items include calzones, soups, rice balls, and a variety of traditional Italian pasta dishes. New items include borekas, falafel, knishes, and veggie rolls. Hours of operation are: Sun-Thurs 11:30am-Midnight, Friday 11am-2 hours before Shabbat, Motzei Shabbat 1 hour after Shabbat ends. The Original Pizza is under the Kosher Supervision of Rabbi Yisroel Gornish and is Cholov Yisroel, Pas Yisroel, and Yoshon.